Fantastic townhome in a great location, enjoy a private street access in a friendly community. 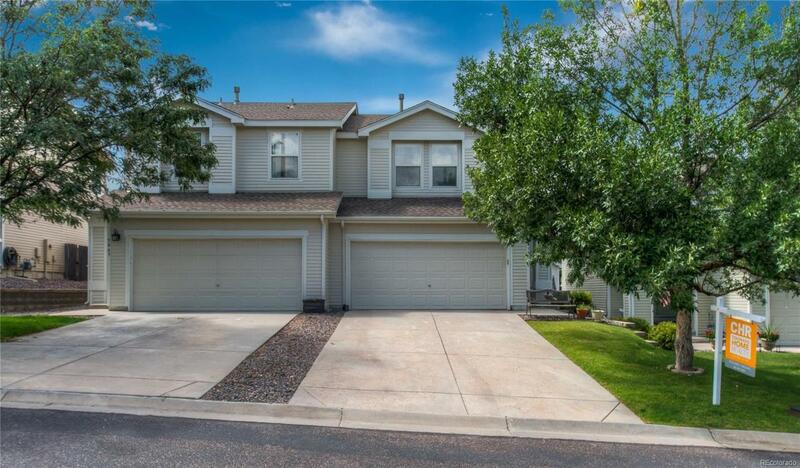 Five minutes to Southlands Mall, 20 minutes to DIA, walk to playground (just 200 feet away!) and local schools. Open main floor living includes spacious and well-appointed kitchen with pantry and custom display shelving, dining area, easy-care wood laminate flooring, gas fireplace and lots of natural light. Sliding glass door leads to fenced backyard with added automatic sprinkler system and brick patio. Master bedroom has walk-in closet, en suite full bath and more custom display shelving. Two additional bedrooms and full bath perfect for office, guests, or kids. Convenient upstairs laundry has ample space for necessities. Smoke-free and pet-free, this gem is clean and move-in ready. Other bonuses: Roof is 3 years old, brand new smoke and carbon monoxide alarms, crawl space storage.